Whether you are a Virtual Assistant who is just starting out and needs some rock solid advice “what next?” Or you already have a VA business but you’re feeling really STUCK in your entrepreneurial growth … Let me help motiVAte YOU to clear the clutter and take revenue-generating action in 2016! Wouldn’t it be great to cut YOUR “learning curve” by half? Again and again in my coaching discussions with VAs I see that the knowledge and wisdom I’ve acquired over the years is TEACHABLE. 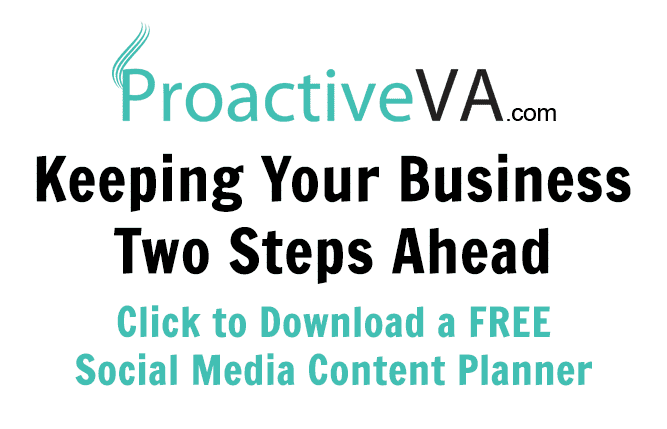 And the challenges inherent to starting a VA business are COACHABLE. I'd love to help you LEAP OVER the roadblocks that are stopping you from achieving your dreams of being a highly successful Virtual Assistant. So that it doesn’t take you 10 years to reach your business goals! I’ve personally coached 100s of Virtual Assistants since 2003. I don’t hold anything back with my protégés. I give everything I have and then some. 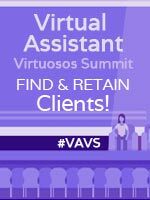 VAs who work with me one-on-one get the full benefit of my skills, experience and PASSION for helping them succeed online in this increasingly competitive industry. BEST DEAL! Private 1-on-1 MotiVAtor Coaching Sessions - Through these private sessions with me, you will receive objective feedback on your business processes and marketing, your “next big thing” ideas for growth, and HOW to set and achieve bigger and bigger goals—financial or otherwise. I’ll help you put together the missing pieces. I’ll answer your questions and will motivate you so that nothing can hold you back, allowing your VA business to thrive and grow. In the end, my desire is for you to have the VA business that gives you the lifestyle you want. BUDGET DEAL! VAinsiders Strategic Group Coaching - I love engaging with other Virtual Assistants through our monthly Group Coaching sessions at my VAinsiders Club. I feel it's super important to be held accountable and motiVAted to think at a deeper level and to share your successes and tribulations in a comfortable and friendly group environment. These sessions usually have up to 15 attendees, last 1-2 hours and are held monthly. Want to know what it's like to attend a group coaching session with me? Not sure which coaching package is right for you? Book a FREE 15 minute Consult with me to discuss. Bottom Line: Sparking a change in your VA business couldn’t be any easier than this, so listen to your intuition and let me motivate you to higher levels of success in your business that you’ve always wanted today. Sounds like a good deal..nice to have someone to talk things over with and point you in the right direction. Wonder if you would consider doing this offer again later in the year.